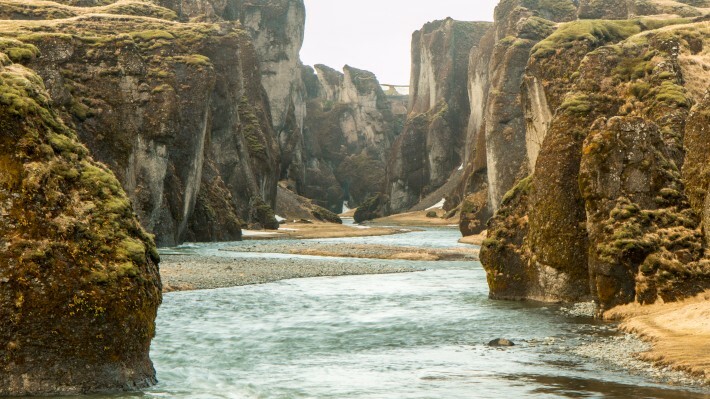 Fjaðrárgljúfur canyon is one of those places in Iceland that doesn’t get the attention it deserves, yet, its location near the ring road in south-east Iceland makes it very easy to get to and have a look. 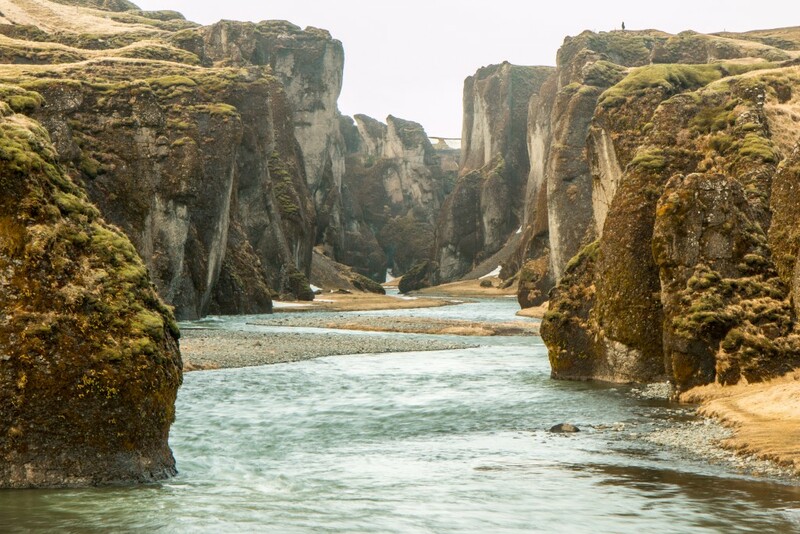 On the way from Vík to Skaftafell, Fjaðrárgljúfur canyon is a great place to visit and the highlight of any trip. It’s a great opportunity for a break while driving this part of the country. Fjaðrárgljúfur is not a massively deep and long canyon. Still, its beauty lies in the colours and shapes. At 100m deep and around 2km long it’s very nice to hike along the top right-hand side and observe it from different angles. Allow at least an hour for this, ideally two. Both times we visited we were pretty much by ourselves, which made it even more interesting. Planning a road trip in Iceland? Check our ultimate guide! 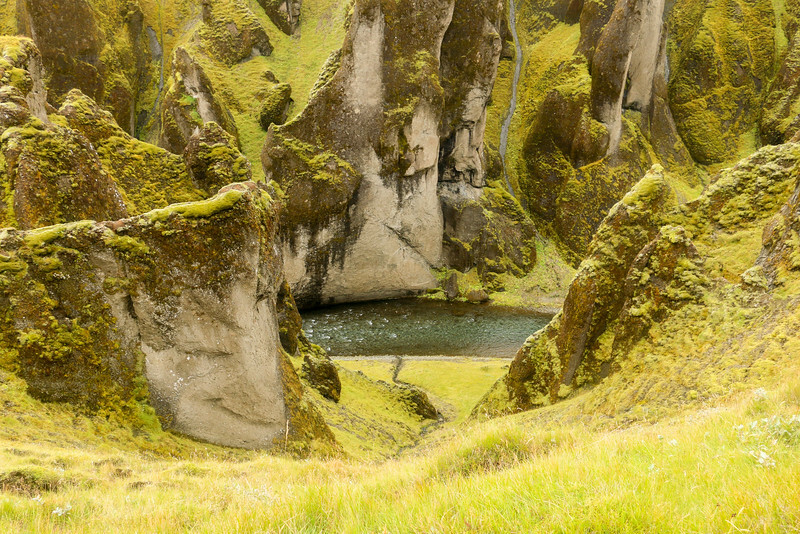 As mentioned, it’s really easy to get to Fjaðrárgljúfur canyon. While on the ring road heading east towards Skaftafell, make a left to road 206, before the small village of Kirkjubæjarklaustur. Road 206 is the one that goes to Lakagígar. 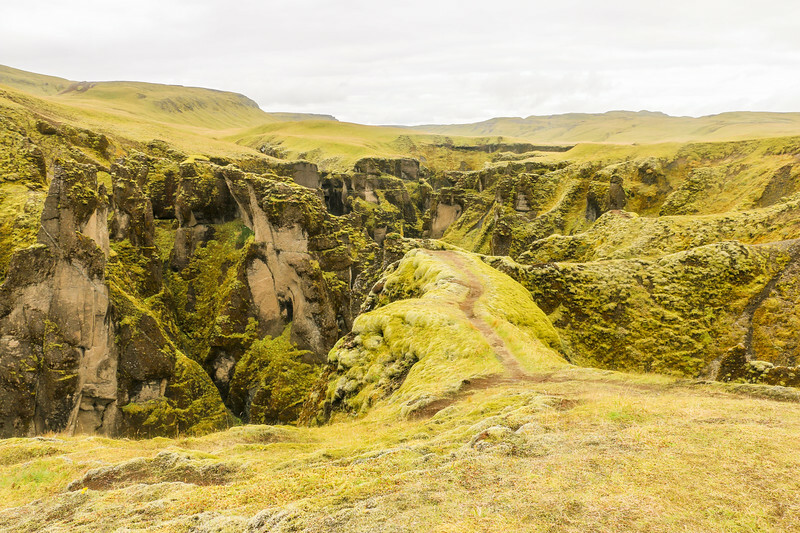 Once on this road, Fjaðrárgljúfur canyon is around two kilometers away. Shortly after, there is a small intersection that leads to the canyon by turning left and to Lakagígar to the right (road 206 becomes an F-road shortly after – for suitable vehicles only). This final stretch of the road to the canyon is gravel but doable for virtually any type of car, just drive slowly if you’re in a smaller one. To make it easier, we’ve added a map with the location. If you follow the road, you’ll end up at a small parking place before a bridge and with a small cabin to your right. Park here. 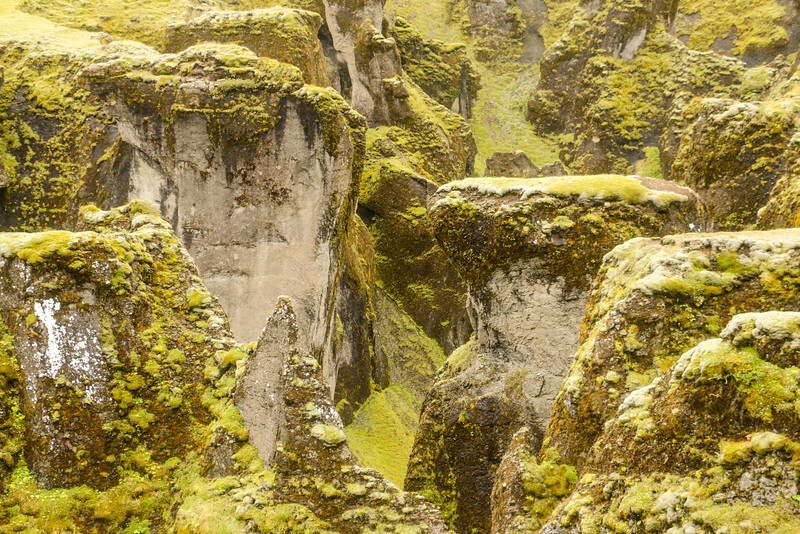 It’s fairly straightforward to visit Fjaðrárgljúfur, at least, the upper part of the canyon. A trail starts at the car park and heads uphill side by side with the canyon. Follow the main path and try some small diverts to the side and some of the edges to get a closer look. The rest of the story is mostly about the pictures. Some of the edges allow for a closer view of the canyon and its blueish water down deep. Not all, though. There are signs closer to the dangerous ones and caution should be taken. It’s a big fall. 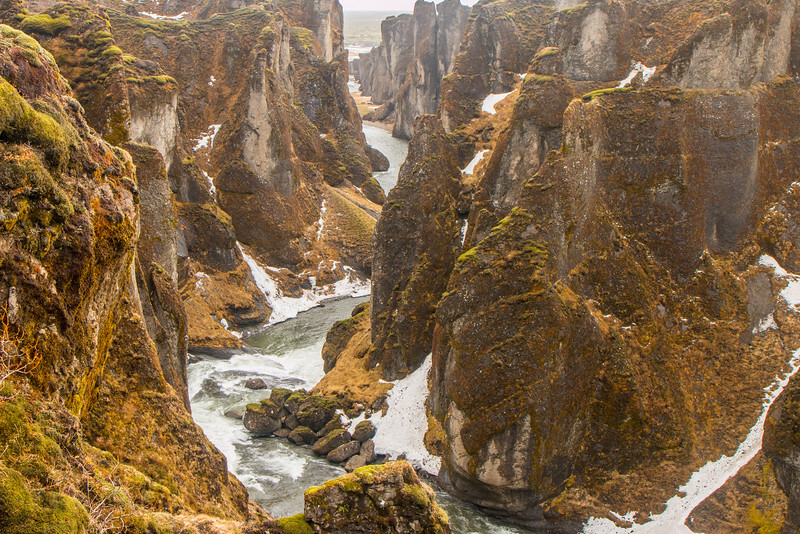 It’s also possible to visit Fjaðrárgljúfur canyon in the winter. The landscape is slightly different and still very impressive. Going back to the car park, the view down the hill is fantastic, with the river winding along after exiting the canyon. The canyon doesn’t seem to have much water and it must be really nice to explore from the ground. We didn’t, but with more time and experience in the matter it should be a good extra for a visit there. 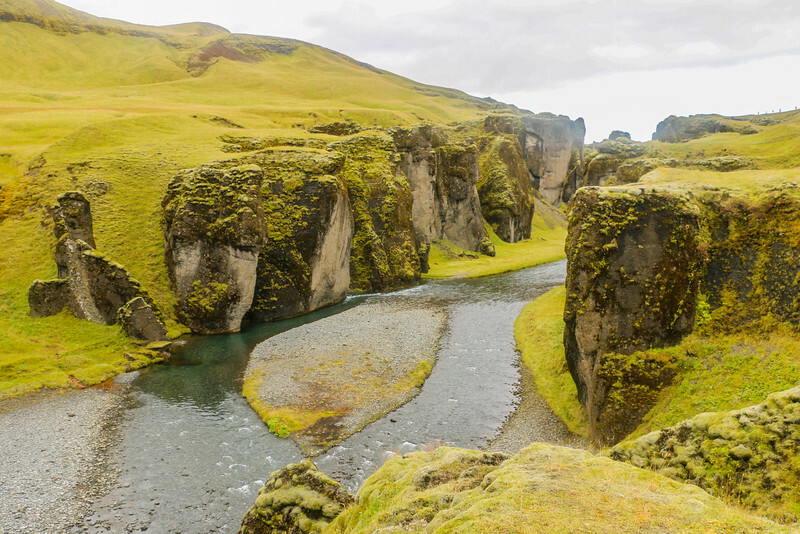 We can definitely recommend Fjaðrárgljúfur canyon as a very good side trip from the ring road. It’s one that doesn’t consume much time but allows for some nice views and pictures! A very good extra for any Iceland trip. 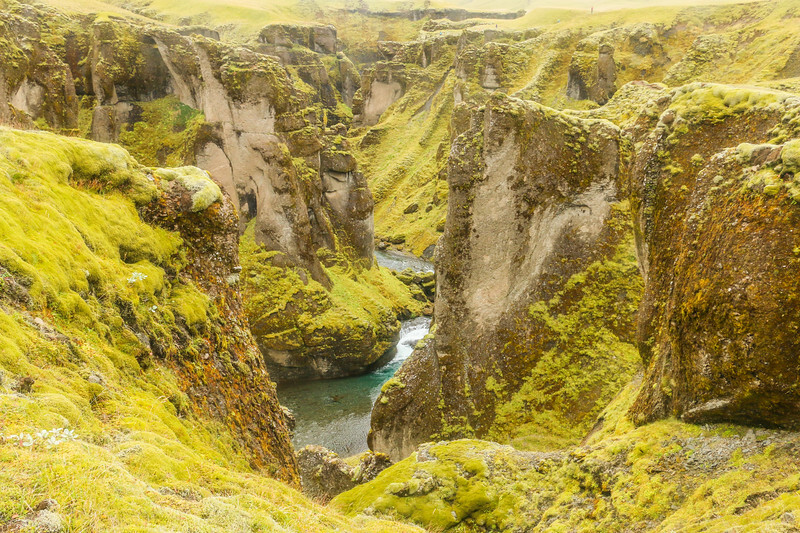 Have you visited Fjaðrárgljúfur canyon? Iceland is all about this. Stunning nature! It is on my list! So beautiful. It should be! It’s a must for any Iceland trip. Not as popular as other places in Iceland but still easily accessible. I’ve also visited during the winter and is equally magical. Is a 2WD car in september suitable to getting to Fjaðrárgljúfur? Sure. It’s a short drive, just make sure you follow the turn to the left that goes to the canyon. It’s a bit bumpy with some potholes (depending on the rain, etc) but should perfectly doable. Go slow. I adore canyons and am going to show my husband your post. Maybe we’ll be able to visit this place someday. Gorgeous! If you end up visiting Iceland, this is highly recommended! Just a short detour from the main road. wow, nice, almost magical and a bit Lord of the Rings! What a beautiful placeI I would love to have known about this canyon when we did our ring road trip in July. Ohhh I so want to get to Iceland! This looks amazing. I agree with Mar, it did conjure up Lord of the Rings thoughts for me, too. Do you have a call out pin for the post? I’d love to pin in Pinterest. Either way I’ve bookmarked it for my Must-Do list! Thanks for sharing! Cool! You should definitely go. Not yet, we need to work a bit on creating some pinnable images! Cheers! Oh wow! What a gem. This place looks so beautiful. I can’t wait to go to Iceland!!! Same on the pinterest image call out! Thank you, Anna! Creating a Pinterest image is on our todo list for today. Will add it to our account later! Iceland seems to be extremely popular as of late. I would love to see it myself as it looks beautiful. Thank you for the introduction to another area to visit one day soon. 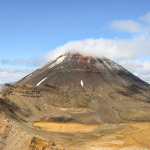 Tourism is increasing rapidly in Iceland. Still, it still is very relaxed comparing to any other popular tourist destinations across the world. Especially outside the capital area. 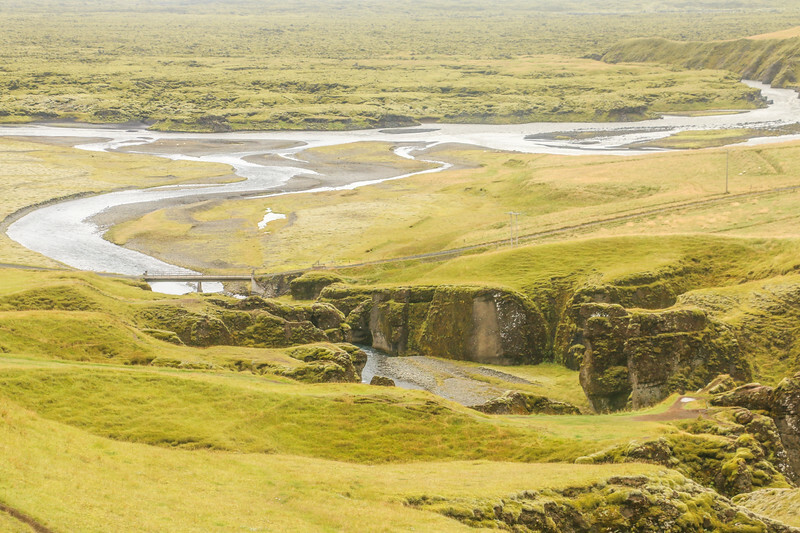 If you like outdoors, Iceland is a must-do! 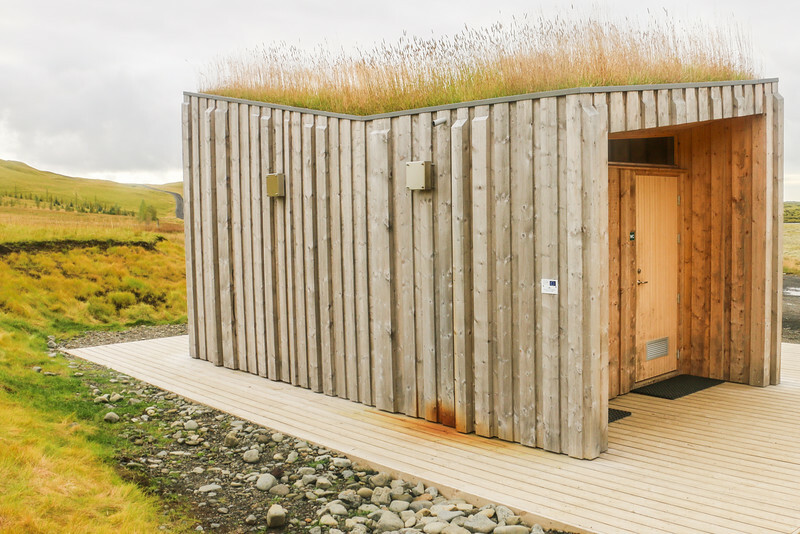 Iceland is full of beautiful surprises and here’s one more! Indeed! There’s much more than the normal “touristy” places. This is clearly one of the highlights. We went to Iceland in the winter when it wasn’t ideal to do much hiking so we missed this area. I’d definitely like to go back and hike around the valleys. It’s so lovely and untouched there. It’s actually just a short hike to get a pretty good overview of the canyon, but if the weather is not great.. better stay safe! Next time! Probably one of the most beautiful places on earth! At least from our experience. Iceland is so beautiful!! I can’t wait to go. How cool that you found a place that you were the only ones. That makes taking in the experience a lot easier lol! 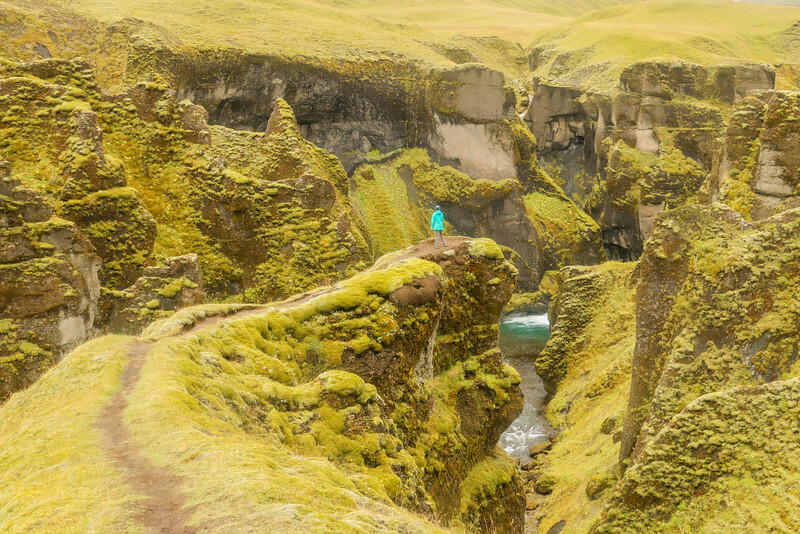 It’s very easy to find yourself alone in Iceland, which is a great experience. Every time I read about Iceland, I am inspired to visit! You’ve really captured the wild, natural beauty of the place. Cheers Dave. You must go there! I wanted to stop on my road trip around Iceland but I couldn’t find the road. It was snowed over while I was there. It was very sad. Unlucky there! It’s very close to Kirkjubæjarklaustur, but one needs to be paying attention to find the correct road. With a lot of snow, it gets complicated to go there using a normal car. Better not risk it! Very nice place! I like canyons and gorges! I heard a lot about Iceland before, but never about this place. It’s an amazing place and not as popular as others in Iceland. Just another reason to visit! Oh. What a shame. Was it snowed in? It’s so beautiful. I will be going there in April which might still be snowing. I was wondering if we are able to reach there by 2WD. Cristina and Hugo — Thank you so much for all of this incredibly valuable and concise information for a great road trip in Iceland. We are flying to Iceland from New Jersey on Thursday for two weeks. I’ve been overwhelmed with all the books I have. All we needed was your guide! So glad I found you! Now I’m more excited than ever about our trip! We’re glad it’s useful! Enjoy your trip! I’m so excited about all the photographic opportunities (Landscape Photographer here…. ), I can hardly wait. I know it will be an awesome trip! I’ve visited multiple times, including in March. One day was perfectly fine, the other was in the middle of a snowstorm. It’s not far from the main road, so usually not a problem to visit. Christina and Hugo– Thank you for the detailed directions to get to the canyon. Is there any clear marker for the 206 road ? Can one find it without a GPS ? is the road labeled ? The place looks amazingly beautiful and the colors look so unique ! Love the pictures ! Yes, there is a sign on the main road.